In an era when youths across Oregon are experiencing higher levels of stress, anxiety, and depression, Gladstone’s John Wetten Elementary has been a frontrunner in developing new strategies to help students learn to cope with strong emotions. 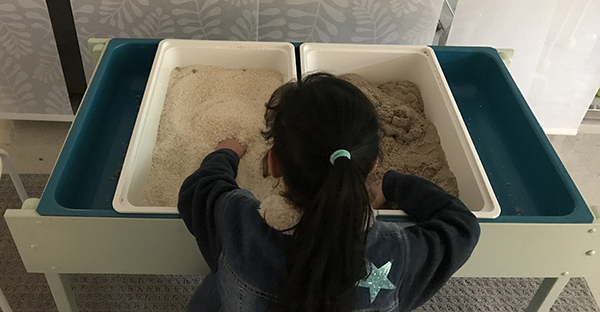 This fall, the school opened a new Student Learning Center [SLC], where children can work one-on-one with a teacher to build skills in self-regulation and self-calming. After teacher referral, a student is scheduled for a daily 20-minute visit to the center, which becomes part of their regular school routine. The dimly lit room is an oasis of calmness, offering students a choice of seven stations from tactile therapy and painting to a light table, a reading corner, and an aquarium. Wetten’s SLC was developed as part of a school wide approach. Zones of Regulation, a social-emotional learning curriculum, are taught to all students during daily morning meetings, and each classroom has a calming corner. The school developed a partnership with Western Psychological, where students can be referred when their needs are beyond what the school can provide.